At the AIDC we regularly use the terms Illicit Financial Flows (IFF) and Profit Shifting. The brief  below provides an overview of what IFFS and BEPS are, and how they function using Lonmin as a case study. The pdf of this brief may be downloaded by clicking here. The purpose of this document is to introduce and provide a high level overview of Illicit Financial Flows (IFFs), base erosion and profit shifting (BEPS). In order to bring these concepts to life and make for an intuitive understanding, the brief uses the case study involving the mining company implicated in the Marikana massacre, Lonmin, and how it shifted profits out of South Africa to its subsidiary in Bermuda. In so doing, the briefing paper highlights the political economic context which allows for this arrangement to exist. Between 10 and 16 August 2012, 46 mineworkers at Lonmin’s platinum shaft in Marikana lost their lives in a struggle for a living wage of R12 500. The events which culminated in police fatally shooting 36 miners on 16 August 2012, revolved around a protracted contestation between Lonmin’s management and the workers on whether or not the demand of R12 500 was one which the company could financially afford. 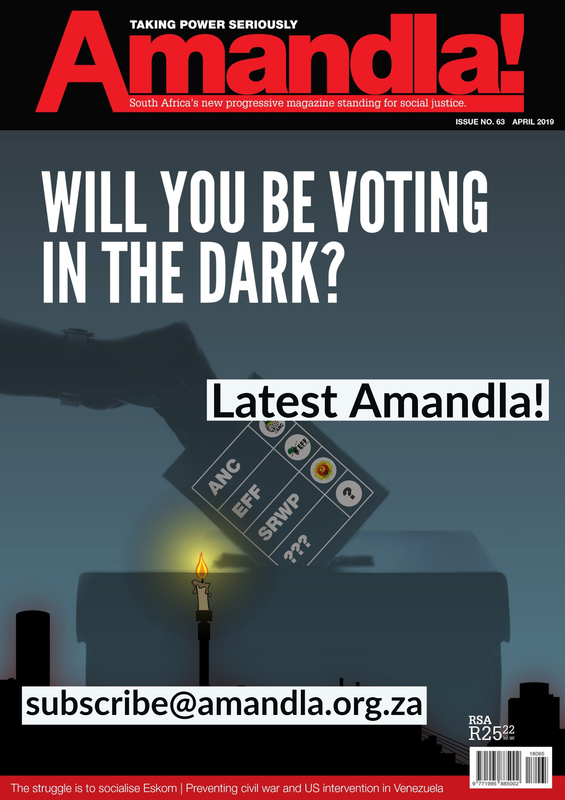 “The Bermuda Connection: Profit shifting, inequality and unaffordability at Lonmin 1999-2012”, is a report compiled by the Alternative Information and Development Centre (AIDC) which sought to precisely answer whether Lonmin could afford to meet the workers’ demand for a living wage of R12 500. The latest figures presented in the 2017 Global Financial Integrity Report estimate the amount of Illicit Financial Flows (IFFs) in South Africa to be a total of US$205 billion over the period 2005-2014. Translated into Rands, this amounts to just shy of R1.7 trillion Rand, which is R153 billion more than the entire 2018/19 South African National Budget. Illustrating these figures highlights how a seemingly tiny portion of international trade has profound implications for developing nations. This has ripple effects for how much money is available to fairly pay workers for their labour, as well as to increase the tax base for redistributive development policies and greater state investment. Spanning across two decades, the Bermuda Connection investigates the financial position of Lonmin in relation to its financial and tax planning arrangements in the 20 years from 1992 leading up to the strike action which ended with the death of 46 mineworkers. 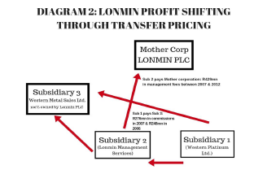 The report has specific emphasis on the extensive payment of management fees to a Lonmin Plc branch in South Africa, and commission fees paid by the two operational South African subsidiaries of Lonmin Plc to another Lonmin Plc subsidiary, Western Services Limited, in Bermuda. Bermuda, a British island territory located in the North Atlantic Ocean, is a well-known tax haven. In Bermuda, there is no capital and corporate income taxation regime. To understand this relationship between a British Island territory which is a safe house to store away tax-free profits, and the shifting of profits out of South Africa and Africa more broadly, one must trace the island’s historical context and situate it within its political economy function. Bermuda was “discovered” in 1505 by Spanish navigator Juan de Bermúdez, whom the island is named after. A century later, the island became a plantation colony and was formally colonised between 1607-1612 by a British settlement commissioned by a Royal Charter, making it the second British colony to be established. During the decolonisation wave which swept much of the third world in the 1960s, it was thought that Britain would relinquish all its island territories. However, the benefits of maintaining some of the colonies became apparent. By 1965, it was clear that some of these dependent territories had secure financial support, a stable political system, defence and preferential trade arrangements (Royle, 1995:314). To this day, Bermuda is British island territory and has no formal independence. This is despite the fact that 66% of the population of the island is comprised of Black people, who have been at the forefront of demanding political independence. Bermuda remains on the list of non-self-governing territories of the United Nations General Assembly as per the United Nations Special Committee 24 on Decolonisation. Executive authority in Bermuda rests with British monarch, who selects the governor of the island. This means that Bermuda does not have a seat in the United Nations and is represented by Britain in issues of foreign affairs. And, that is important for the purposes of international tax and the fight against profit shifting and tax evasion, because Bermuda effectively doesn’t have a say in how the island functions as a tax haven. This should therefore make us question why Britain has continued to be comfortable with the arrangement of Bermuda functioning as a tax haven. Viewed from this vantage point, the fact of Bermuda as a tax haven is tied directly to how former colonial powers on the continent (and current in the case of Bermuda) continue to advance their economic interests and promote an economic advantage at the detriment of developing nations. In the AIDC report investigating the connection between Lonmin’s subsidiaries in South Africa and Bermuda, the report shows that: the shifting of profits through arrangements where commission fees were paid to the subsidiary in Bermuda, and exorbitant management fees, decreased the amount of revenue/profits that could have been used to fairly compensate workers for their labour. The South African operating subsidiary paid over US$330 million in “sales commissions” to the Bermuda based Lonmin subsidiary between 2002 and 2012. This is equivalent to R2.455 billion at the average exchange rates for these 11 financial years to R2.455. The practice by Lonmin of inflated and artificial service fees is consistent with prior research findings across the mining industry in South Africa. Historically, trade mis-invoicing by the mining sector in South Africa has been ranked as the highest in the world (Ashman, Newman, et al, 2011). 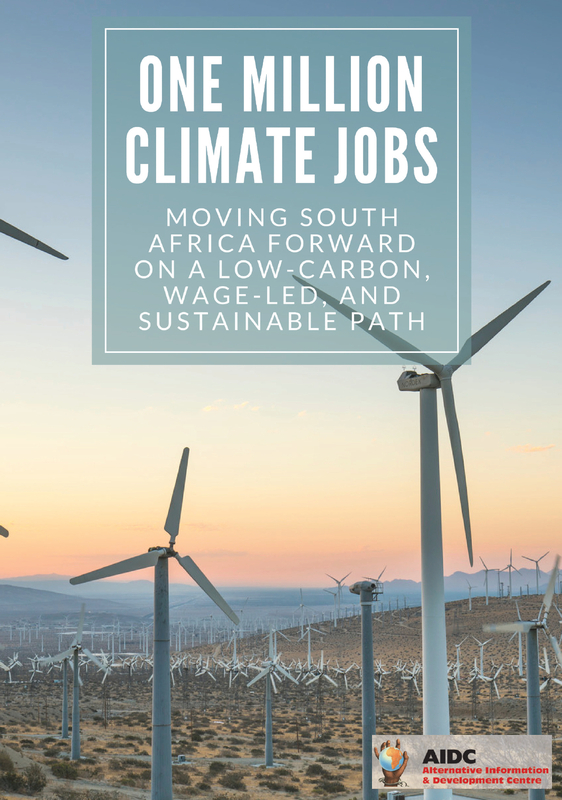 By terminating the Bermuda arrangement and the payment of management fees, the report of the Lonmin case study illustrates that the demand for a living wage of R12 500 is one that the company could financially afford to meet. Having framed the concepts of illicit financial flows and profit shifting within their current context in international trade and political economy, we now use the last section of this briefing guide to flesh out some of the technical aspects and distinctions which characterise IFFs and profit shifting. As the name suggest, illicit financial flows are not legal nor permissible by law. Often, money is transferred by companies out of South Africa and Africa for the purposes of evading their tax obligations. This is also commonly known as tax evasion – the means by which a company seeks to avoid, reduce, or postpone its liability for any tax payable. Tax evasion is illegal. There are a number of mechanisms to facilitate IFFs. Amongst them in international trade, is the practice of trade mis-invoicing. The value or price of goods and services is either over or under stated in order to evade taxes such as customs and import duties, Value Added Tax (VAT), and income tax. The word liability is used in a financial reporting sense, to signal that the company has incurred an obligation it must uphold as a result of engaging in some event creating such an obligation to pay tax. Tax avoidance seeks to legally arrange tax affairs to have the least amount of tax payable, in other words, to reduce its tax liability. Tax evasion on the other hand seeks to avoid the tax payable when it has incurred a liability to pay tax and also uses illegal methods to arrange its tax affairs in order to pay the least amount of tax. However, the line between these two concepts is ambiguous because illicit financial flows are facilitated legally through mechanisms permissible by law. Nonetheless, besides not being illegal these practices are immoral. Economic and commercial substance refers to the commercial and business risk that is present in any transaction or financial arrangement. A transaction must have significant effect on business risk or net cash flows of a party involved in a financial arrangement to demonstrate genuine economic activity. Schemes which lacks commercial substance include round-trip financing, commonly through inter-group loans and payment of commission and management fees. The test of economic substance is currently not applied in relation to tax-avoidance schemes. Instead, companies are only required to deal at arm’s length: connected persons transacting should do so at a value that a third party unconnected to the company would pay in an open market for a similar good or service. The practice of determining the fair value of a good or service is highly subjective. As an example, one such mechanism which legally permits companies to shift profit is the regimen of transfer pricing. It is the practice whereby associated or related enterprises or companies, such as the Lonmin Branch in South Africa and its subsidiaries, either in South Africa or Bermuda, charge fees and pay themselves for the transferring of goods and services. In the case of Lonmin this was through management fees and commission fees. In itself, transfer pricing is not illegal. It is however extensively abused due to the fact that companies’ transfer pricing policy decisions on how to price goods or services is highly subjective. Thin capitalisation refers to how the existing debt of a company is significantly greater than the equity – the shareholders’ investment and claim, in the company. A company is therefore said to be thinly capitalised if it has, and uses, significantly more debt to finance its operations, than equity in the form of investments. A debt-equity ratio of 3:1 is commonly used as a threshold to measure if a company is thinly capitalised. The concept of thin capitalisation is important in relation to the granting of loans to companies that would not ordinarily get a loan from a bank, by other companies. This is important for the repayment of interest expenses. A bank will not normally grant a loan to a company that has excessive debt financing i.e. thinly capitalised, because there is a substantial risk that the company may not be able to make interest repayments due to the fact that it has to make many other interest repayments. Interest expenses are deductible for tax purposes. They reduce the taxable income of a company, and by extension the tax liability payable by a company. To avoid tax, a common manoeuvre of profit shifting is through excessive finance charges and interest expenses. This is done by granting loans within a group of companies which have no real economic substance, with no party incurring a risk that would come with defaulting the loan, yet, still allowing the company receiving the loan to claim an interest expense tax deduction. This typically occurs through cross-border intergroup loans. The interest is paid to an oversees account, meaning it is not taxed in South Africa as the money has been shifted or transferred out of the Republic. This brief has sought to serve as a short introduction to illicit financial flows and profit shifting. 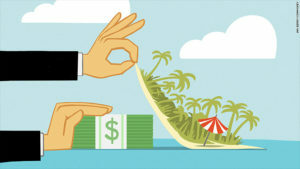 Providing a high level overview, the brief particularly draws a connection between the practice of profit shifting and IFFs to Bermuda, a notorious tax haven, and specifically highlights the historical context which tie Bermuda as a safe house for store away tax-free profits. Using the example of Lonmin’s profit shifting arrangements, the report highlights the material consequences of lost revenue in light of the tragic deaths of workers who were asking for a decent living wage of R12 500. Over and above wage evasion, IFF and BEPSS also reduces the tax base. Whilst IFFs account for close to 10% of South Africa’s trade revenue over 2005-2014, in aggregate they represent R1.7 trillion, R153 billion more than the 2018/19 national budget revenue. This is money that could have been used for education, housing and basic services. This amount is based on an average US$/Rand exchange in the ten years 2005-2014 of 1$=R8.01. Ibid. The term Black encapsulates the estimates of the categories “black” (54%), “multiracial” (4%) and “other races” (4%).